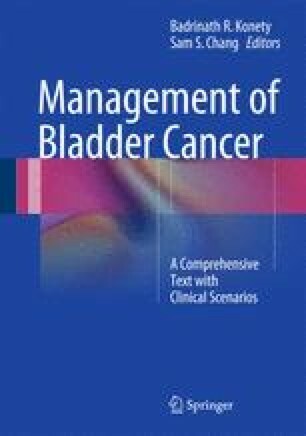 Neoadjuvant chemotherapy plus radical cystectomy is the primary recommended therapy for muscle-invasive bladder cancer. Final surgical pathology is the strongest predictor of subsequent recurrence risk. There is no proven adjuvant treatment that can impact the risk of recurrence for those with adverse pathologic features such as persistent extravesical disease. These patients should be considered for clinical trials when available.